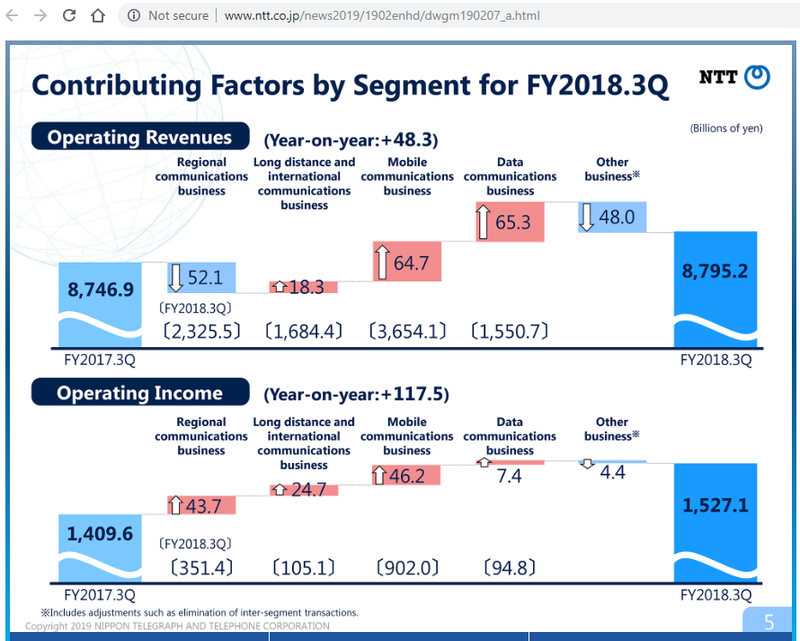 The Nippon Telegraph and Telephone Corp. (NTT) reported that operating revenues for the nine months ending 31-December-2018 grew 0.6 percent to 8.80 trillion yen (approximately U$80 billion) from 8.75 trillion yen last year. 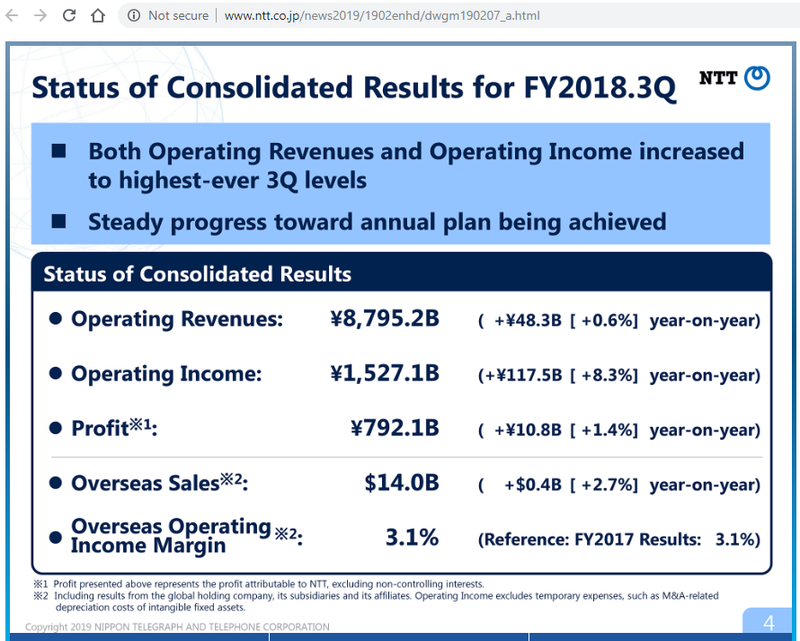 Net income attributable to the company for the period increased 1.4 percent to 792.13 billion Japanese yen, while operating income amounted to 1.53 trillion yen, up 8.3 percent from 1.41 trillion yen last year. 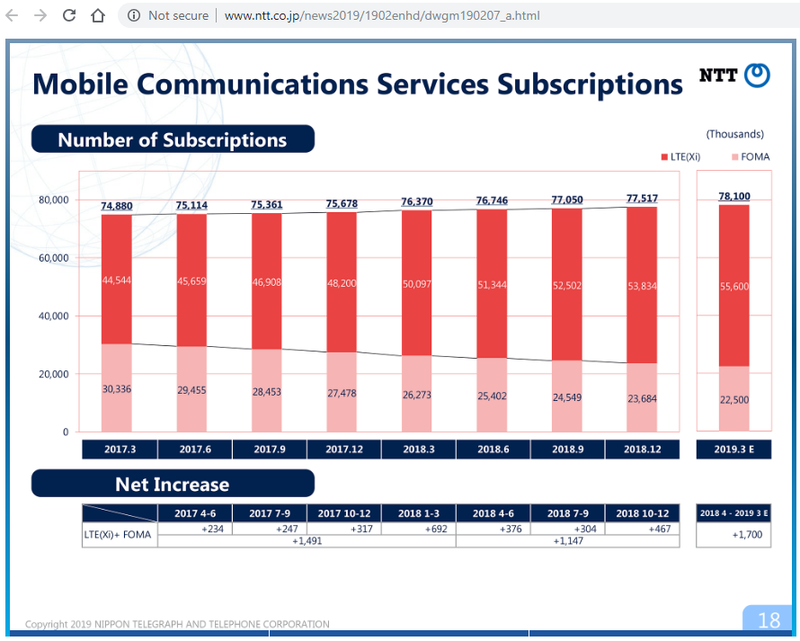 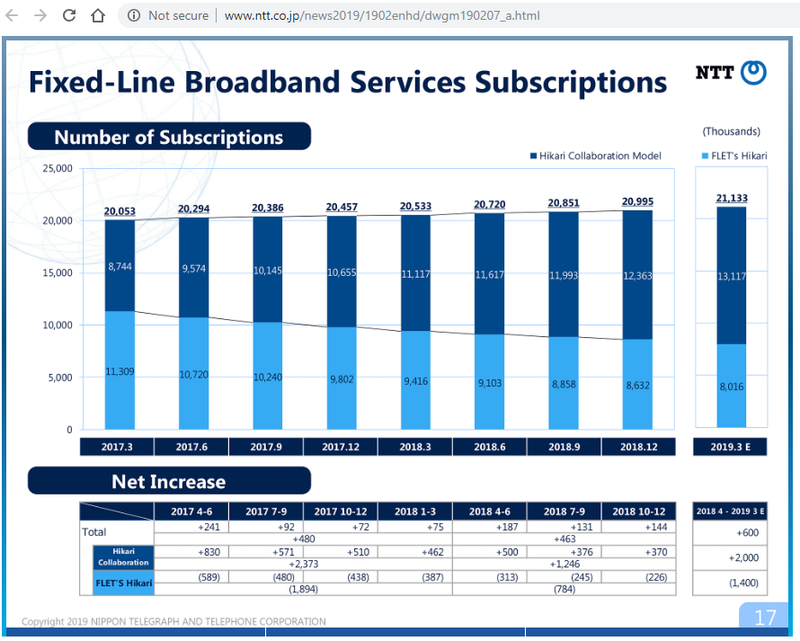 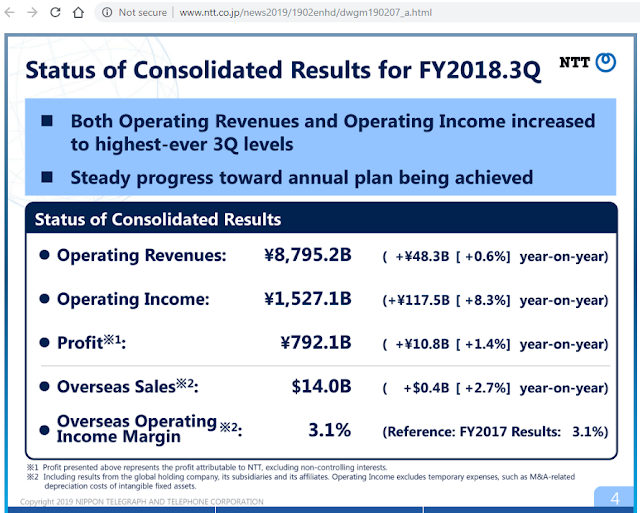 In terms of key metrics, NTT's mobile business and its data communications business both increased in revenue, while its regional communications businesses declined.